Money plays a pivotal role in each of our lives and without a single penny in our pocket we can’t even think of having a sound nap at home. This being the bitter truth, there are few countries whose currency have gained the maximal economic valuation. The highest-valued currency unit is the currency in which a single unit buys the highest number of any given currency or the largest amount of a given good. The list of Most Valuable Currency in the World will offer you a glimpse of the notes that can probably buy you your dream. Quickly browse through the list of Top 10 Most Valuable Currencies in the World to know their current value. The Kuwaiti Dinar is the official currency of Kuwait. Its currency code is KWD and is sub divided into 1000 fils. With the value of 1 KWD = 3.30 USD, it is the highest-valued currency unit in the world. The Kuwaiti dinar is relatively a new currency as it was established in 1960 and replaced the gulf rupee in 1961 when Kuwait gained its independence. The currency finds it place in the list of Most Valuable Currencies of the World, leaving even the strongest of currencies like Great Britain Pound and United States dollar behind. The Pound or lira was the currency of Malta until 31 December 2007. The Euro replaced the Maltese lira as the official currency of Malta on 1 January 2008 with the value of 1 MTL = 3.50 USD. It is subdivided into 100 cents or 1000 mil. With Maltese Pound or lira, Malta has the second most expensive currency with it and the Central Bank of Malta has its monetary authority. As the name suggest, Bahraini Dinar is the currency of Bahrain and is divided into 1000 fils. The currency code for Dinars is BHD, and the currency symbol is BD. Recently in 2001 only, this peg to US dollar has been declared official and there are no restrictions and no limits in context of the import and export of currencies in Bahrain, whether local or foreign. This characterises the unrestricted and free nature of the Bahrain’s economy. The current rate is 1 BHD = 2.65 USD. Omani Rial or riyal refers to the Arabic currency unit that serves as an official currency to most of the countries belonging in the Arabian Peninsula. Iranian rial, Saudi Riyal, Omani Rial, Qatari Riyal and Yemeni Rial are examples of Rial denominated currencies. 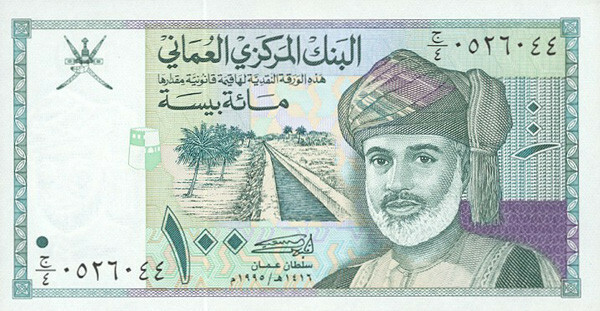 Omani Rial has been serving as the national currency of the sultanate of Oman since the year 1973 and is divided into 1000 fils with the value of 1 OMR = 2.60 USD. Today it shares its space among the World’s Most Valuable Currencies. The Cypriot Pound also known as the lira was the currency of Cyprus, including the Sovereign Base Areas in Akrotiri and Dhekelia, until 31 December 2007, when the Republic of Cyprus (and Malta) adopted the euro. The Cyprus pound was replaced by the Euro as official currency of the Republic of Cyprus on 1 January 2008 with the rate of 1 EUR = 0.585274 CYP. Abbreviated as Ls, Latvian Lats is the currency of Latvia which holds the sixth position among the Top 10 Most Valuable Currencies of The World. The lats is sub-divided into 100 Santīmi with a value of 1 LVL= 1.61 USD. The lats was first introduced in 1922, replacing the Latvian rublis at a rate of 1 lats = 50 Rubļi. The Latvian Bank issued notes from 1922 in denominations of 20, 25, 50, 100 and 500 Latu. The pound sterling is said to be the oldest currency that is being used currently. It is also ranked among the Most Valuable Currencies of The World along with United States dollar, Euro and Japanese yen. 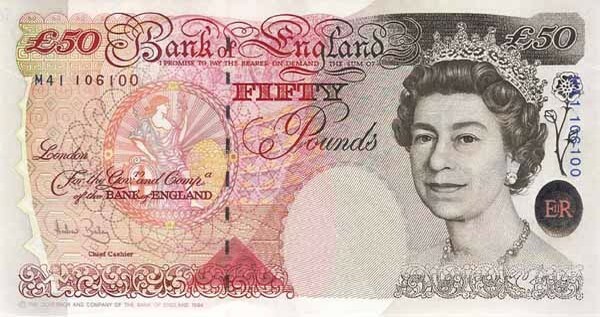 Another important fact about the currency of United Kingdom is that it bears the highest value among the major currency units of the world with the rate of 1 GBP = 1.30 USD. The currency uses a floating rate regime and can be easily traded in the foreign exchange markets. One of the top ten valuable currencies in the world, Euro is the official currency of the European Union countries lying in the Euro zone. Euro came into existence in the year 1999 when it was launched as an accounting currency. In the year 2002, banknotes and coins of the currency were introduced in the European Union countries. The currency is symbolised with “€” sign, has a currency code EUR and value of 1 Euro= 1.14 USD. Divided into 1000 fils, Jordanian Dinar has been in use in Israel since the country took control of it in 1967. Coins were introduced in 1949 in denominations of 1, 5, 10, 20, 50 and 100 fils. Since October 23, 1995, the dinar has been officially pegged to the IMF’s special drawing rights and holds a value of 1 JOD=1.41 USD. Currency of the Cayman Island, Cayman Island dollar is abbreviated with the dollar sign $, or alternatively CI$ to distinguish it from other dollar-denominated currencies. It is subdivided into 100 cents and is rated as 1KYD= 1.22 USD. On 1 May 1972, the Cayman Islands Currency Board introduced notes in denominations of 1, 5, 10 and 25 dollars. This entry was posted in Commerce and tagged list of most valuable currencies, the most valuable currency in the world, top 10 valuable currencies in the world, top ten most valuable currencies, world's most valuable curriences on February 13, 2013 .